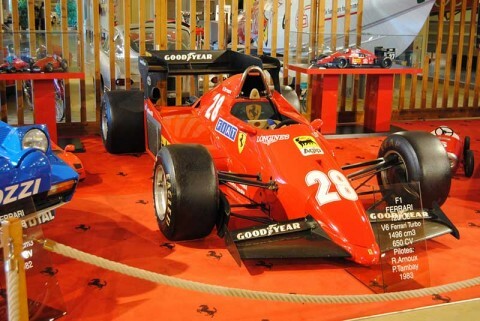 The Ferrari 126 C3 is a Formula 1 car launched by the Scuderia Ferrari in the context of the 1983 world championship. 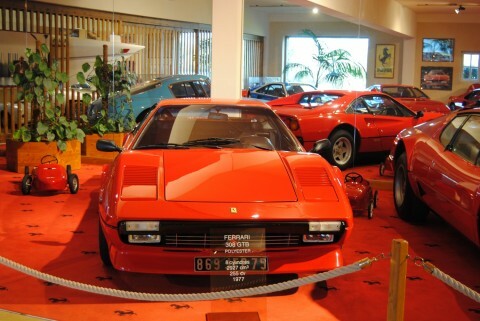 Designed by Harvey Postlethwaite and led by René Arnoux, Patrick Tambay, the Ferrari 126 C3 from 1983. By mid-season, at the GP of Great Britain, is launched the successor to the C2, equipped with a frame made of composite material obtained by superimposing two carbon shells and Kevlar. Under the new rules which tend to eliminate ground effect, the car has a flat bottom. A collection of road Ferraris: BB512, Testa Rossa, 250GT, 288 GTO and 308GTB from the Rally of Andruet.